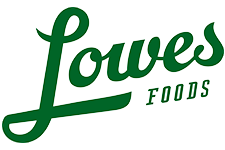 Here are the deals that start 2/27 at Lowes Foods. Be sure to check out the Fuel Rewards deals! Pineapple, at $4.99 ($2.49) ea. Navel Oranges, 4 lb, $3.99 ea. Grape Tomatoes, Pint, $2.99 ea. Sunkist Lemons, 2 lb, $2.99 ea. Cooking Onions, 3 lb, $2 ea. Russet Baking Potatoes, 5 lb, $2.50 ea. Nabisco Premium Saltines, Ritz Crackers, Coke, 8 pk.